Faithful readers know of my geeky love for tech policy books. I read lots of 'em. There's a steady stream of Amazon.com boxes that piles up on my doorstop some days because my mailman can't fit them all in my mailbox. But I go pretty hard on all the books I review. It's rare for me pen a glowing review. Occasionally, however, a book will come along that I think is both worthy of your time and which demands a place on your bookshelf because it is such an indispensable resource. 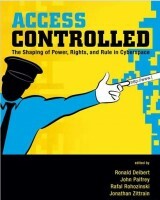 Access Controlled: The Shaping of Power, Rights, and Rule in Cyberspace is one of those books. Smartly organized and edited by Ronald J. Deibert, John G. Palfrey, Rafal Rohozinski, and Jonathan Zittrain, Access Controlled is essential reading for anyone studying the methods governments are using globally to stifle online expression and dissent. As I noted of their previous edition, Access Denied: The Practice and Policy of Global Internet Filtering, there is simply no other resource out there like this; it should be required reading in every cyberlaw or information policy program. The book, which is a project of the OpenNet Initiative (ONI), is divided into two parts. Part 1 of the book includes six chapters on "Theory and Analysis." They are terrifically informative essays, and the editors have made them all available online here (I've listed them down below with links embedded). The beefy second part of the book provides a whopping 480 pages(!) of detailed regional and country-by-country overviews of the global state of online speech controls and discuss the long-term ramifications of increasing government meddling with online networks. Continue reading Book Review: Access Controlled: The Shaping of Power, Rights, and Rule in Cyberspace . . .
At the same time it's clear that technology and the mechanisms of the Web have been accelerating certain trends already percolating through our culture -- including the blurring of news and entertainment, a growing polarization in national politics, a deconstructionist view of literature (which emphasizes a critic's or reader's interpretation of a text, rather than the text's actual content), the prominence of postmodernism in the form of mash-ups and bricolage, and a growing cultural relativism that has been advanced on the left by multiculturalists and radical feminists, who argue that history is an adjunct of identity politics, and on the right by creationists and climate-change denialists, who suggest that science is an instrument of leftist ideologues. It's a great debate, but a very controversial one, of course. Anyway, go read her entire essay. So, do I need to remind everyone of my ongoing rants about Jonathan Zittrain's misguided theory about the death of digital generativity because of the supposed rise of "sterile, tethered" devices? I hope not, because even I am getting sick of hearing myself talk about it. But here again anyway is the obligatory listing of all my tirades: 1, 2, 3, 4, 5, 6, 7, 8 + video and my 2-part debate with Lessig and him last year. You will recall that the central villain in Zittrain's drama The Future of the Internet and How to Stop It is big bad Steve Jobs and his wicked little iPhone. And then, more recently, Jonathan has fretted over those supposed fiends at Facebook. Zittrain's worries that "we can get locked into these platforms" and that "markets [will] coalesce [around] these tamer gated communities," making it easier for both corporations and governments to control us. More generally, Zittrain just doesn't seem to like that some people don't always opt for the same wide open general purpose PC experience that he exalts as the ideal. As I noted in my original review of his book, Jonathan doesn't seem to appreciate that it may be perfectly rational for some people to seek stability and security in digital devices and their networking experiences--even if they find those solutions in the form of "tethered appliances" or "sterile" networks to use his parlance. Continue reading Are Digital Generativity and Openness Overrated? . . .
Of the many tech policy-related books I've read in recent years, I can't recall ever being quite so torn over one of them as much as I have been about Jaron Lanier's You Are Not a Gadget: A Manifesto. There were moments while I was reading through it when I was thinking, "Yes, quite right!," and other times when I was muttering to myself, "Oh God, no!" 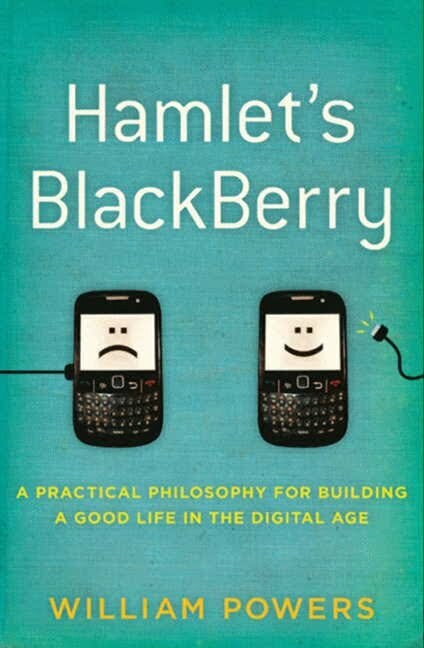 The book is bound to evoke such strong emotions since Lanier doesn't mix words about what he believes is the increasingly negative impact of the Internet and digital technologies on our lives, culture, and economy. In this sense, Lanier fits squarely in the pessimist camp on the Internet optimists vs. pessimists spectrum. (I outlined the intellectual battle lines between these two camps my essay, "Are You An Internet Optimist or Pessimist? The Great Debate over Technology's Impact on Society.") But Lanier is no techno-troglodyte. Generally speaking, his pessimism isn't as hysterical in tone or Luddite-ish in its prescriptions as the tracts of some other pessimists. And as a respected Internet visionary, a gifted computer scientist, an expert on virtual reality, and a master wordsmith, the concerns Lanier articulates here deserve to be taken seriously-- even if one ultimately does not share his lugubrious worldview. Continue reading book review: Jaron Lanier's You Are Not a Gadget . . .
Harvard Berkman Center professor Jonathan Zittrain has published another pessimistic, Steve-Jobs-is-Taking-Us-Straight-To-Cyber-Hell editorial building on the gloomy thesis he set forth in his 2008 book, The Future of the Internet and How to Stop It. His latest piece appears in the Financial Times and it's entitled, "A Fight over Freedom at Apple's Core. Concerning the recent Apple iPad announcement, Zittrain warns: "Mr Jobs ushered in the personal computer era and now he is trying to usher it out." But let me just say this... Ignoring that fact that he is an iPhone user himself -- which makes no sense considering that he thinks of Apple as the font of all cyber-evil -- he can't muster any substantive empirical evidence proving that the Net and digital devices are being more "closed, sterile, and tethered," as he repeatedly claims in his book and editorials. And that's not surprising because the reality is that the digital world is more open and generative than ever, and even if there are some "closed" devices and systems out there, they are actually quite innovative and not perfectly closed as Zittrain suggests. The spectrum of "open vs. closed" systems and devices is incredible diverse and nothing is perfectly "open" or "closed." We can have the best of both worlds: many open systems with some partial "walled gardens" here and there (or hybrid systems combining both). Regardless, we are witnessing greater digital "generativity" and innovation with each passing year. Until Zittrain can prove the opposite, his thesis must be considered a failure. Continue reading Another Sky-is-Falling Zittrain Editorial . . .
During a recent blog post on William Patry's self-parodying, dishonest, and hate-filled book Moral Panics and the Copyright Wars, ("Copyright Wars"), I argued that disputes between creative industries and technologists who create new means to access creative works tend to be notoriously complex because creators of new content and creators of new content-access technologies are producers of complementary goods. Producers of complementary goods do not want to destroy each other, but they would love to commoditize each other. In other words, a producer of a complementary good should want to drive the price of any complements produced by others as close as possible to marginal cost in order to maximize the share of mutually-created value that it could potentially capture. For a concrete example of what I was talking about, review Clash of the Titans, an interesting, opinionated, and perceptive account of the recent clash between Amazon.com and Macmillan over ebook pricing. 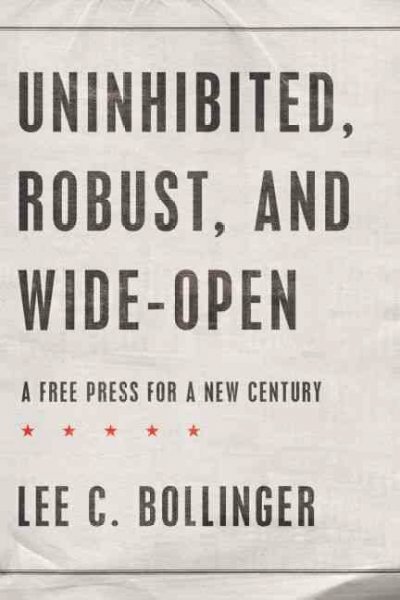 It represents a thoughtful analysis of the complexities lurking behind these debates. Moreover, the issues outlined are relevant to debates about online pricing of all types of expressive works--music, video, news, periodicals, etc. Thanks to Marginal Revolution for highlighting this post. PS: Speaking of Patry's vile book Copyright Wars, I just belatedly perceived another of its many glaring ironies. Around a year ago, the unhinged Patry was putting the finishing touches upon its false and hate-filled claims, (e.g., "I cannot think of a single significant innovation in either the creation or distribution of works of authorship that owes its origins to the copyright industries. "), in order to depict an ugly alternate reality in which copyrights had so failed to support the production of innovative works that they should be wholly repealed: "In other areas where a government monopoly, created to serve the public interest, is blatantly abused over a long period of time, it is taken away" (p.199). Recently, some routine events occurred. Stars shone at night. Snow fell in winter. And, in a new blog post, Dan Glickman's Moral Panic, Mr. William Patry warned that another vicious "moral panic" has been launched by another representative of the copyright owners whom Mr. Patry has denounced as Maoist, Stalinist, Fascist, Terrorist, murderous, war-mongering religious-zealot stranglers who will stoop not only to "castration" but even to "name calling." But Mr. Patry's latest attempt to smear a creative industry backfires as badly the "siege-engine"/"screed"/worthless book that he called Moral Panics and the Copyright Wars ("Copyright Wars"). Consequently, Mr. Patry has again proven only that he is either the most incompetently diabolical "Master of Moral Panics" ever known or that he has become so unhinged by rage that he can no longer rationally comprehend or reply to even simple arguments made by copyright owners. Continue reading William Patry's "Moral Panic" about MPAA, Dan Glickman and ACTA . . .
- Are Digital Generativity and Openness Overrated?